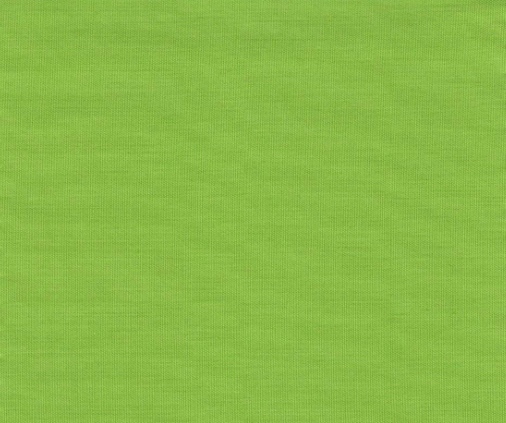 The Pantone Color Institute announced its "color of the year" and it is Pantone 15-0343, aka "Greenery." I've been waiting to switch to LED bulbs but didn't want to pay $10-20 a bulb. These are reasonably priced, and look like a normal bulb. I hate changing bulbs and try to wait until a majority of mine are out before swapping them. The theory is that they'll all go out around the same time and I can just spend an afternoon replacing them all. In practice I spend months stumbling around the most important parts of the house to light, waiting for bulbs I never use to burn out. Not this time! After a mere 3-4 months of waiting I decided to jump the gun, buy a bunch of LED bulbs and get to swapping. Hopefully, when these bulbs start to go, in 20 or so years, I'll have forgotten this silly system. These TCP bulbs are a great deal. At mere $4 a bulb, compared to the $10-20 I was seeing just a few months ago, they look like a normal bulb. For most lamps and lights in my home, I like these 60W equivalents, and I find the 2700K soft white bulbs perfect for my home. The light is very much like an incandescent and comes with none of the CFL problems. LEDs are warm instantly, do not flicker and appear to throw the color light they advertise. The few CFLs left in my home will likely find themselves replaced shortly. UPDATE: Looks like this was probably an April Fools joke! Bummer, great idea anyway! Underground the city of London are eight massive bomb shelters like the one pictured above that have been empty or used as document storage for more than 50 years. Now, one of them is being transformed into a subterranean farm. The farming group, called Zero Carbon Food, based their system on hydroponics and LED light powered by wind-generated electricity. "When I first met these guys I thought they were absolutely crazy, but when I visited the tunnels and sampled the delicious produce they are already growing down there I was blown away," says two Michelin star chef Michel Roux Jr. The Sun Hive is a hanging honeybee hive designed by Günther Mancke and which is growing in popularity in the UK and elsewhere. It was designed around the needs of pollinating bees and colony health and preferences, and not around prioritizing honey production. As such, it's thought to be much better for sustaining bee populations. It's also quite beautiful. There's also a Sun Hive book, that you can read or download (4.5Mb), and which gives the background on natural beekeeping and instructions on how to construct one. Architect/developer Sebastian Mariscal designed and is expecting to build a 44-unit apartment building in densely-populated Boston where most of the space you'd expect to be used for parking spots is instead given over to a variety of gardens. There's a 7,000 public garden on the ground level and a roof that's 70 percent dedicated to community gardening. Meanwhile, each living unit includes a 144 square foot "outdoor room… full of vegetation." We review a lot of popular science books around here, but Sustainable Materials (like Sustainable Energy) is a popular engineering text, a rare and wonderful kind of book. Sustainable Materials is an engineer's audit of the materials that our world is made of, the processes by which those materials are extracted, refined, used, recycled and disposed of, and the theoretical and practical efficiencies that we could, as a society, realize. Allwood and Cullen write about engineering with the elegance of the best pop-science writers -- say, James Gleick or Rebecca Skloot -- but while science is never far from their work, their focus is on engineering. They render lucid and comprehensible the processes and calculations needed to make things and improve things, touching on chemistry, physics, materials science, economics and logistics without slowing down or losing the reader. The authors quickly demonstrate that any effort to improve the sustainability of our materials usage must focus on steel and aluminum, first because of the prominence of these materials in our construction and fabrication, and second because they are characteristic microcosms of our other material usage, and what works for them will be generalizable to other materials. From there, the book progresses to a fascinating primer on the processes associated with these metals, from ore to finished product and back through recycling, and the history of efficiency gains in these processes, and the theoretical limits on efficiency at each stage. It's time again for Boing Boing's guide the charities we support in our annual giving. As always, please add the causes and charities you give to in the comments below! Julian Allwood and Jonathan Cullen's Sustainable Materials - with Both Eyes Open: Future Buildings, Vehicles, Products and Equipment - Made Efficiently and Made with Less New Material is a companion volume to Sustainable Energy Without the Hot Air, one of the best books on science, technology and the environment I've ever read. The earliest records of aerial reforestation date back from 1930. In this period, planes were used to distribute seeds over certain inaccessible mountains in Honolulu after forest fires. Seed bombing is also widely used in Africa; where they are put in barren or simply grassy areas. With technology expanding, it is now placed in a biodegradable container and "bombed" grenade-style onto the land. As the sprout grows, the container biodegrades and the plant grows. It is usually done as a large-scale project with hundreds dropped in a single area at any one time. Therefore, a barren land can be turned into a garden in a little over a month. Just wanted to showcase this marvelous comic by Stuart McMillen (the cover of which you see above and is a nice nod to Hergé). It's called "St. Matthew Island" and asks: "What happens when you introduce 29 reindeer to an isolated island of untouched natural resources?" As a parable (humans being humans, and reindeer being reindeer), it does a great job of gently and effectively illustrating the issue of over consumption . Earlier this year, Los Angeles hosted it's first CicLAvia (blogged here previously)— an event which closed off 7.5 miles of city streets to cars for a full day allowing cyclists and pedestrians full use of the roadways. It was a huge success with over 100,000 residents showing up on 2 wheels rather than 4. Yes, this happened in Los Angeles, dare I say one of the most "car-positive" cities in the world. The organizers are working on plans for the next CicLAvia for 2011 and have teamed up with Kickstarter to help raise some funds. They are hoping to bring in $5K, and have a bit over $1K right now. I just donated because I think it's a super worthwhile cause, and because I ride my bike in LA on the streets all the time anyway and being able to do it every once and a while without worrying about getting run over is awesome.